Tue, Jan 22, 2019, 10:59 pm SL Time, ColomboPage News Desk, Sri Lanka. 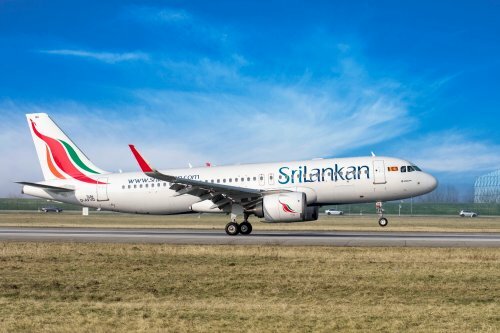 Jan 22, Colombo: The Committee appointed by President Maithripala Sirisena earlier this month to resolve the problems and restructure the national carrier SriLankan Airlines, has completed its work on schedule and will present its report to the President tomorrow, according to non-cabinet Minister Dr. Harsha de Silva. Minister Dr. de Silva said the 12-member committee appointed two weeks ago by President Sirisena and headed by State Minister Eran Wickramaratne to recommend policy for future of SriLankan Airlines completed its work today on schedule. "We will hand over report with policy direction tomorrow with a new angle considering economic returns," the Minister said in a Twitter feed. The President appointed the 12-member committee on January 7 to obtain ideas and suggestions needed to restructure the national carrier and make recommendations. State Minister of Finance Eran Wickramaratne was appointed to chair the Committee while the members include non-cabinet Minister Dr. Harsha de Silva, Dr. Nandalal Weerasinghe, Dr. Dharmarathna Herath, Prof. DBPH Disa Bandara, V. Kanagasabhapathi, LSI Jayaratne, Viraj Dayaratne, Mahen Gopallawa, Wasantha Kumarasiri, Ajith Amarasekara and Ms. Thisuri Wanniarachchi. The Committee was instructed to submit their recommendations within two weeks. The recommendations made by the committee will be considered to take decisions regarding the future of the airline.